Home > Specialty Belts > A070710SL Replaces 6BTM332 TIMING BELT. Replaces OEM GBC Part 173054. 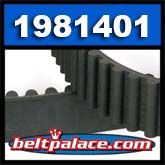 *Neoprene* (Rubber) Timing Belt 173054 for GBC Digicoil Binders. > GBC Binding 1981380 Belt. Clearance priced! > GBC Binding 1981351 Belt. GBC AP2 Timing Belt. > GBC Binding 1981401 Belt. Clearance priced! GBC Binding 1981401 Belt. Clearance priced! GBC Binding 1981401 Belt. Neoprene (Black rubber) Timing belt for GBC Binding/Office machines and others. IN STOCK! Clearance priced while supplies last! GBC Binding 1981380 Belt. Clearance priced! GBC Binding 1981380 Belt. Neoprene (Black rubber) Timing belt for GBC 2 Auto Puncher machines and others. A070710SL Replaces 6BTM332 TIMING BELT. Replaces OEM GBC Part 173054. *Neoprene* (Rubber) Timing Belt 173054 for GBC Digicoil Binders. A070710SL Replaces 6BTM332 TIMING BELT. Replaces OEM GBC Part 173054. Neoprene (Rubber) Replacement Timing Belt 173054 for GBC Digicoil Binders. GBC Binding 1981351 Belt. GBC AP2 Timing Belt. GBC Binding 1981351 Belt. GBC AP2 Timing Belt 1981351.